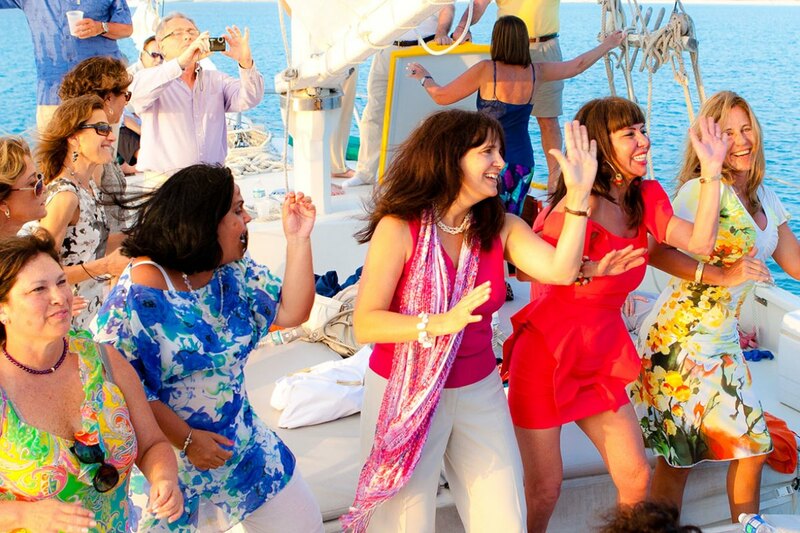 We would be happy to customize your itinerary by adding some of these experiences. 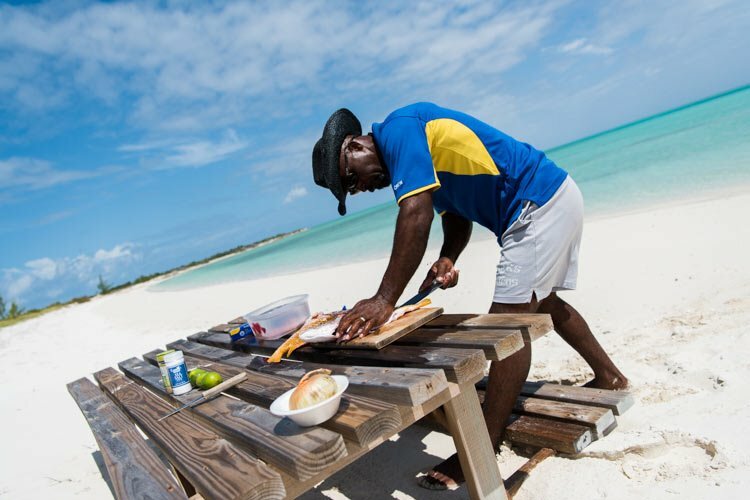 Note – we only book these items for guests who book their full vacation with Turks and Caicos Reservations including their accommodations. 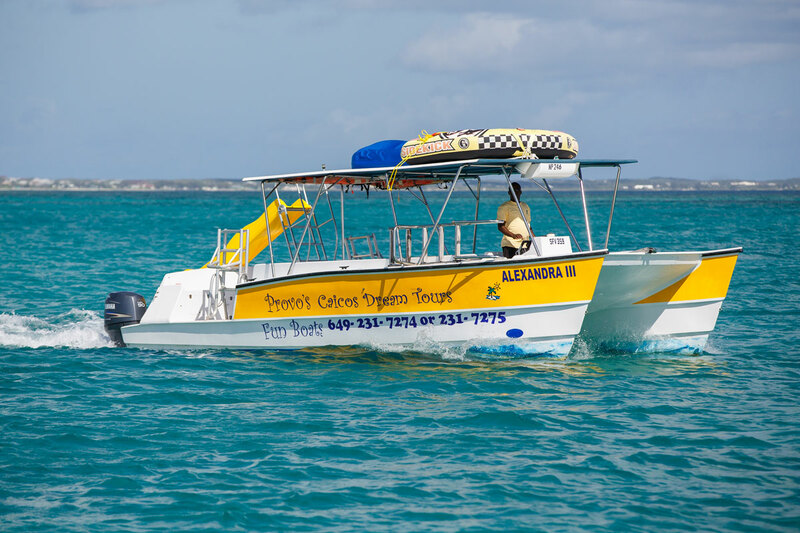 Our most popular excursion, the snorkel and conch cruise is a fantastic 4 hour trip. 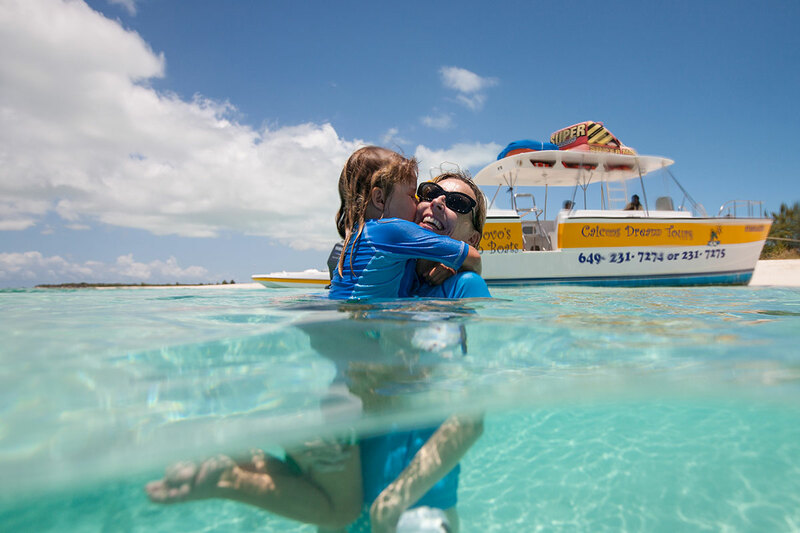 You’ll go beach cruising along Grace Bay, snorkeling along the barrier reef (third largest in the world! 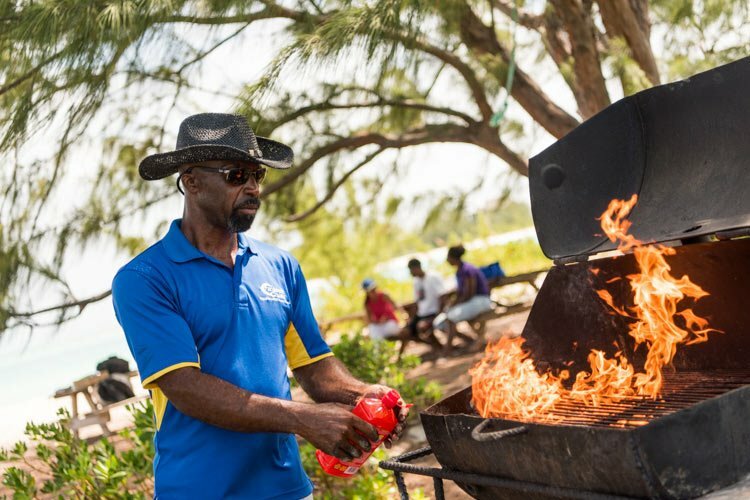 ), snorkeling the Caicos Bank and finally a stop at gorgeous Half Moon Bay where you will enjoy a delicious conch salad made from the conch caught on the trip! 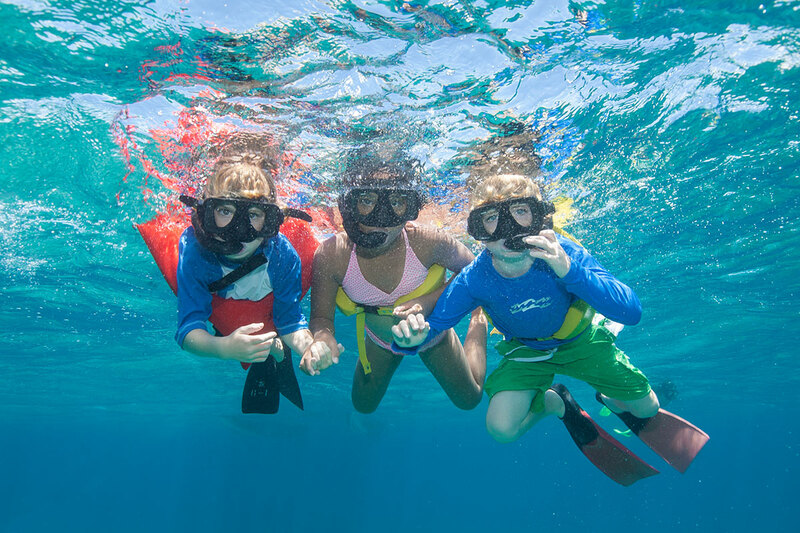 Includes: All your Gear (Fins, Mask, Vest), Beer, Rum Punch, Soft Drinks, Water, Conch Salad, Gourmet Sandwiches, Light Snacks, Complimentary pickup/return to your resort. This is a wonderful excursion! 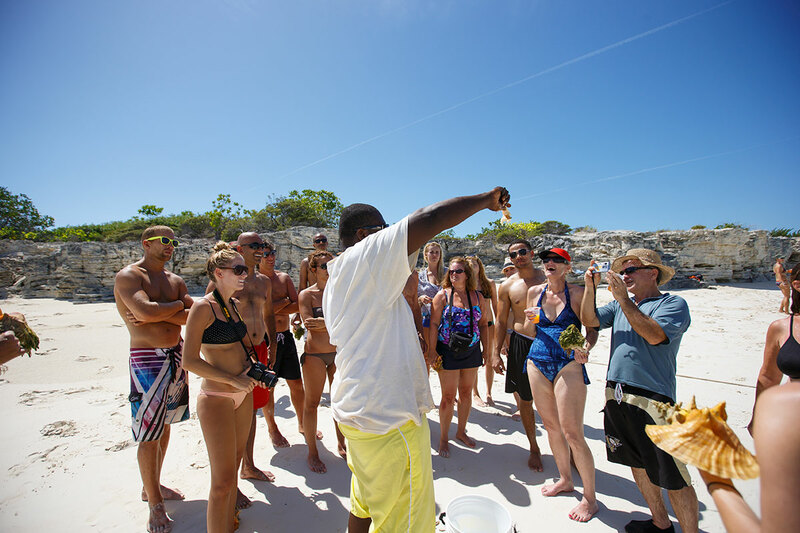 Caicos Dream Tours snorkel and conch cruise will leave you breathless! Enjoy it! 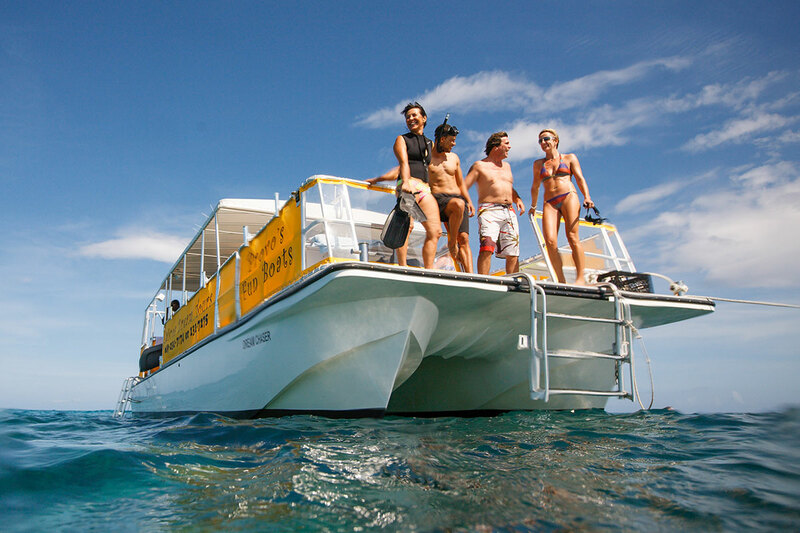 After your relaxing lunch and we’ve had time to clean up we will pack up the boat and take you to gorgeous Pine Cay reef for another 50-60 minutes of spectacular snorkeling. On the way back we will stop to do some light shelling for sand dollars…it really is a “DREAM” DAY!!! 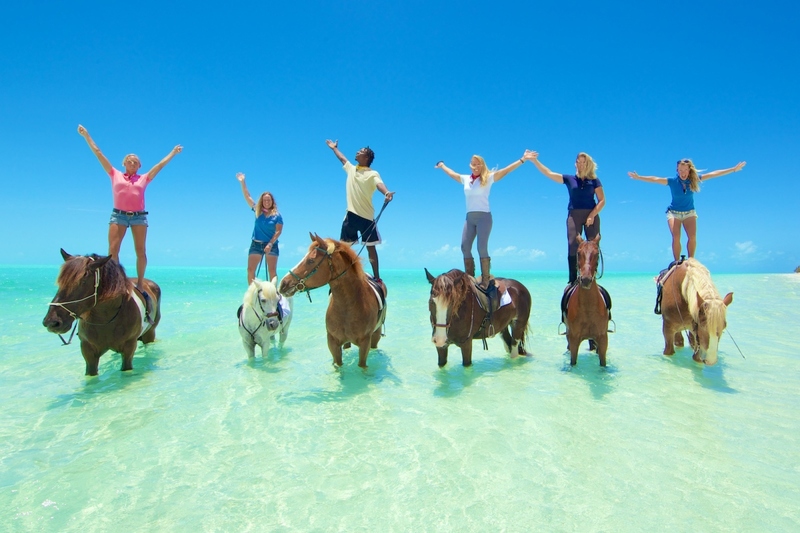 Provo Ponies is a small riding stable 10 minutes drive away from Grace Bay. Horses LOVE the water! We do two rides a day. 9:30 am and 3:30 pm. 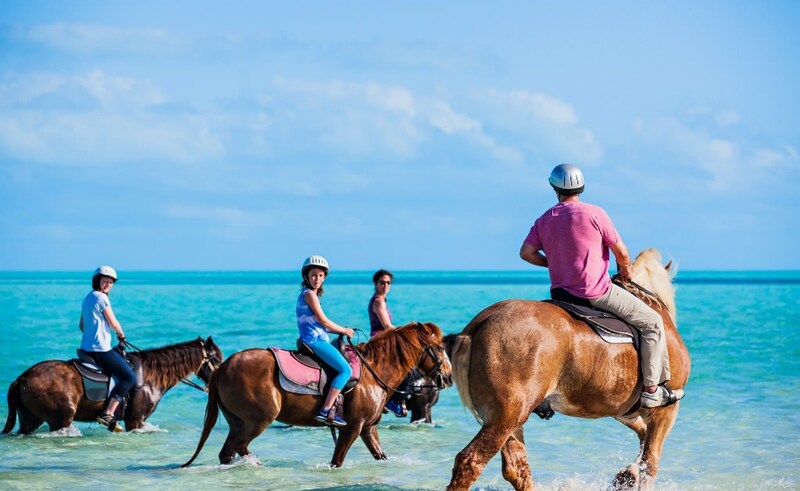 All our rides take you down roads through trails to Long Bay Beach where you will be able to ride your horse into the shallow waters off the Caicos Banks. Upon arrival you will sign liability forms, be briefed on safety and given a quick lesson on your horse. 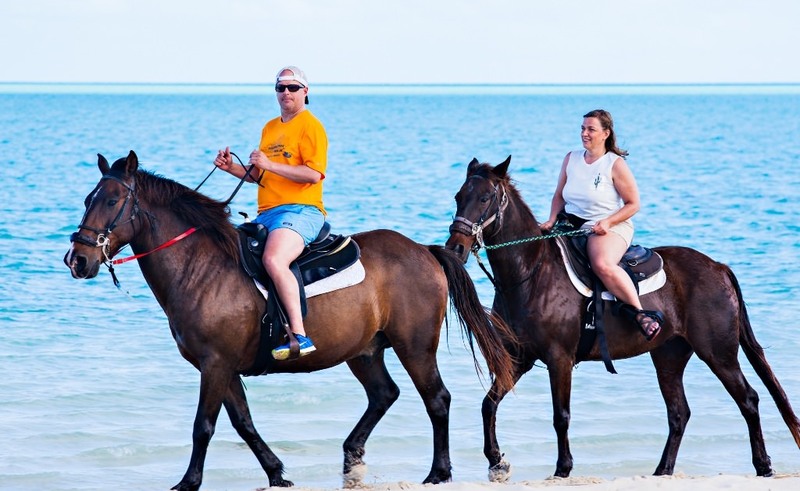 Once all riders in the group are up on their horses and tack is adjusted, you will head down the road and through a windy path to beautiful Long Bay Beach. Your guide will ensure that you capture plenty of pictures if you bring a camera/smart phone. This is not a nose to tail ride where riders are required to follow one another. You will be encouraged to spread out and interact with your horse if you choose to. The most unique part of this ride is riding in the ocean. Our horses LOVE the water. When you get back to the barn you can give your horse a treat and a cuddle, maybe get yourself an original Provo Ponies Tee-shirt or hat before heading back to your hotel. 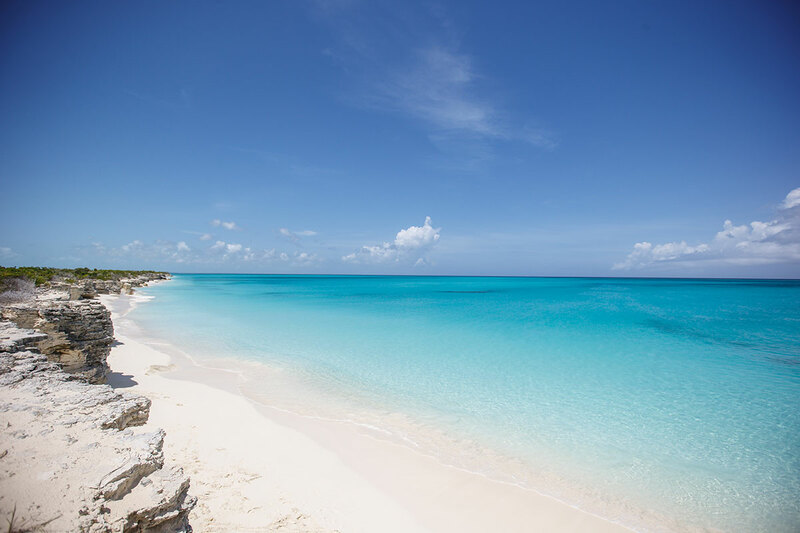 This 3/4 day adventure takes you to the shallow waters of the Caicos Banks off the south coast of Middle and North Caicos, where there is an abundance of turtles and marine life. With the expert guidance of our Resident Naturalist and legendary fishermen Dave Clare and Gilbert Jennings, learn how to catch, flipper tag and release turtles in the wild. 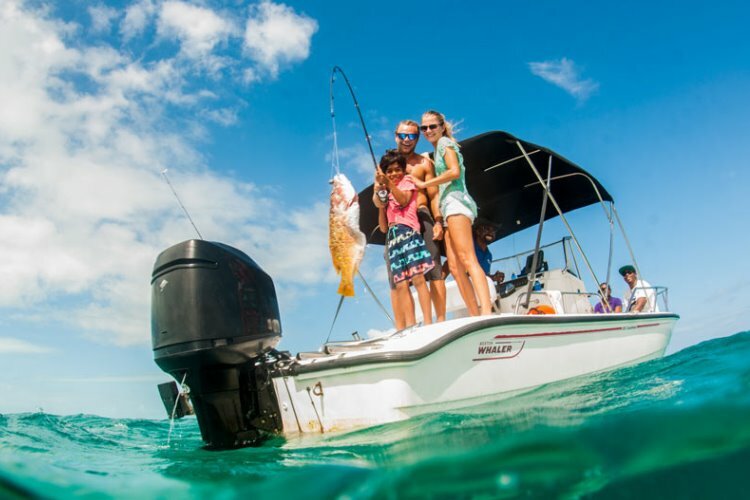 Accompanying TCI’s most renowned and colorful fishing duo offers our guest an authentic cultural experience while also contributing to the livelihoods of these TCI fishermen. 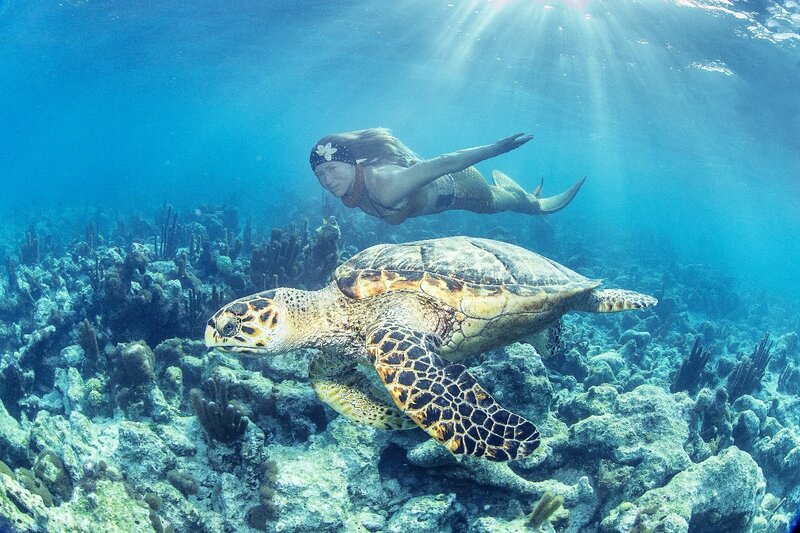 Take this opportunity to give back to these beautiful island, the people and the endangered sea turtles. Provo’s #1 rated Sailing Charter and overwhelmingly the top choice of Folks who live here. * Includes the recently mandated 12% tax. 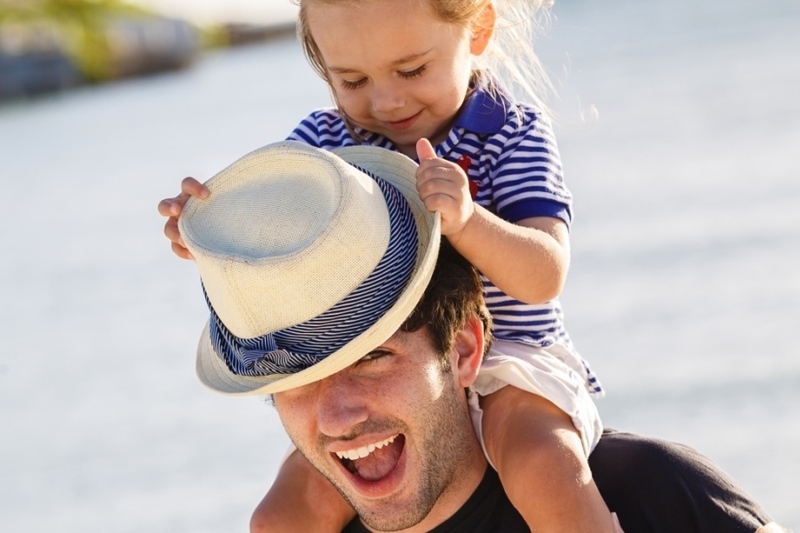 Your Turks and Caicos Portrait photo-shoot will be – Simple, Easy and Fun. Our goal is not to shoot hundreds of average pictures, slap them on a disk and wave bye, bye. 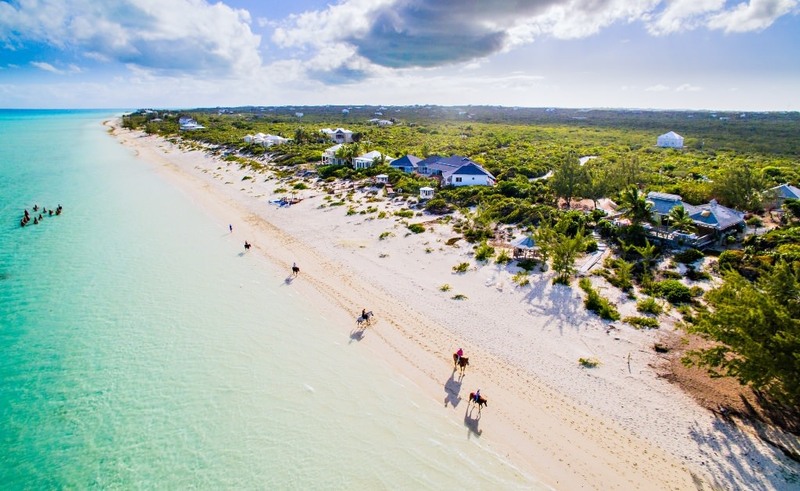 We’ll use all our experience of shooting Turks and Caicos to make sure we get gorgeous pictures first off, then let’s collaborate to get the most out of your pictures. Do you have the time to edit 900 pictures down to your favourite 30? Having them all on a disk is nice and of course for Facebook, but then what? 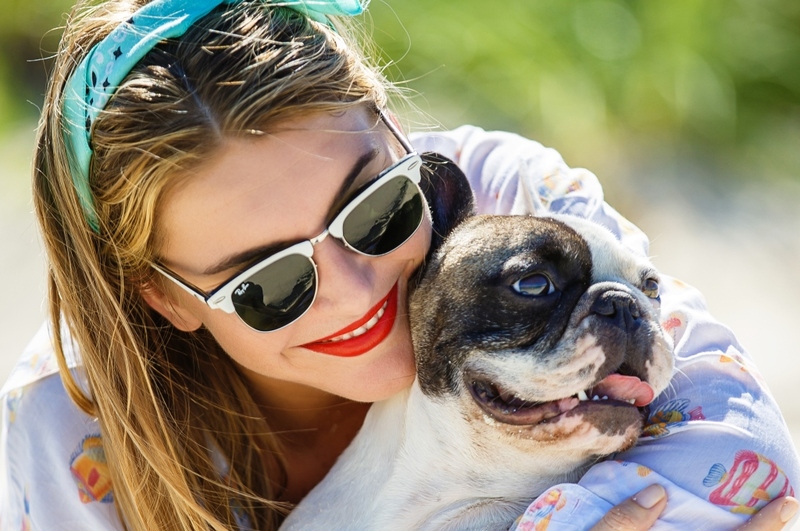 Our focus is to help you. Present to you gorgeous, wow, OMG pictures. 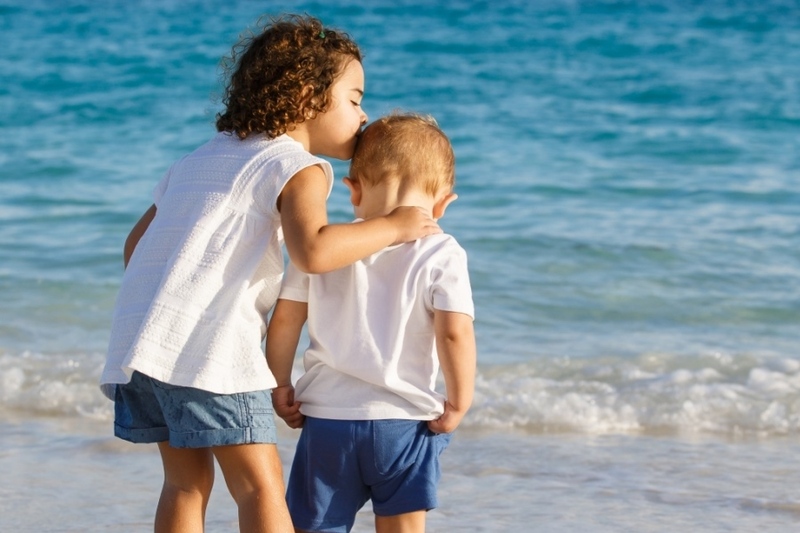 We’ll have lots to choose from of course but our focus is on quality pictures that you will L+O+V+E. 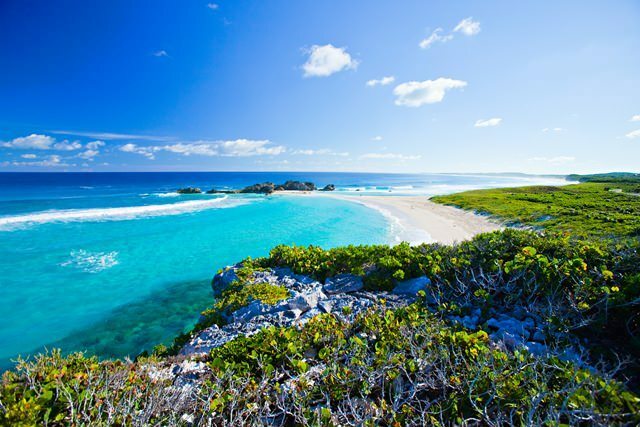 Explore the huge limestone cave system of Middle Caicos island and see the spectacular seascapes of Mudjin Harbour and Crossing Point bluffs on this unique PRIVATE inter-island excursion. 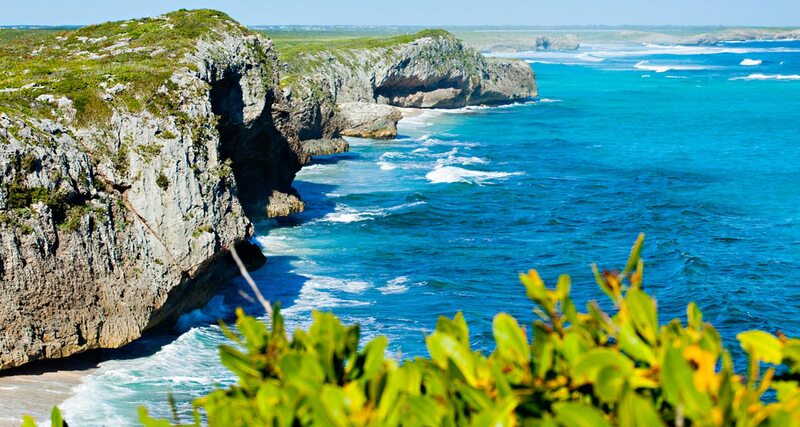 If you are into caves, beaches, and a taste of the old West Indies..
From pick up our SUV or van and head through the lush, green island, past small villages and shallow ponds where we hope to see Flamingos, before reaching the Conch Bar Caves–second largest in the Caribbean region. You get a privately guided tour deep into several “rooms,” including one where Taino Indian ceremonies took place long ago. Highlight–“Bat City”–but if you are concerned about bats, no worries. We can just walk through the cave entrance section, which itself has lots of stactites and stalegmites. 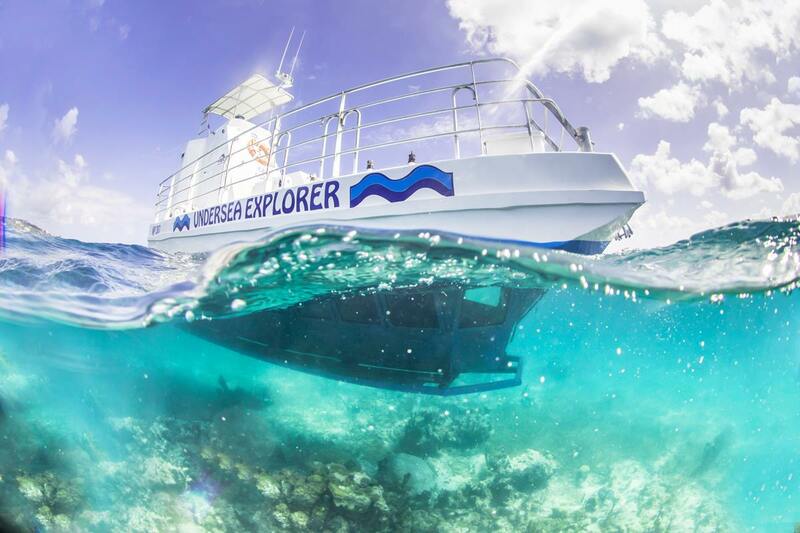 Caicos Tours brings you the Semi-Submarine, an Ocean Viewing Adventure with out getting wet! Dreams really do come true when you blow our magic conch horn. 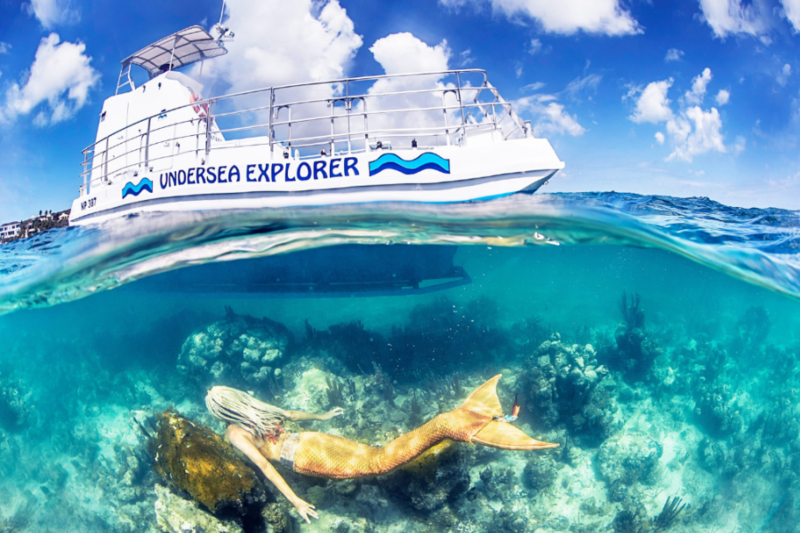 Come and meet our real-life Turks and Caicos Mermaid! With her magical mermaid tail and long flowing hair, you will want to have your camera ready! This tour will also take you past a coral reef formation where you can experience our resident green sea turtles in their natural habitat. It really doesn’t get more fun than this!